It’s the most romantic time of the year again and that calls for a little splash of holiday inspiration, courtesy of Tropical Warehouse. Step this way for our most romantic adults-only collection yet, aptly named ‘I love you to the beach & back’. The land of straw-roofed huts jutting out over the ocean, turquoise waters stretching as far as the eye can see and a barefoot luxury like no other. The Maldives are synonymous with romance and offer the perfect place to spend your time as two. Dreaming of spending your precious moments together on an idyllic private island? 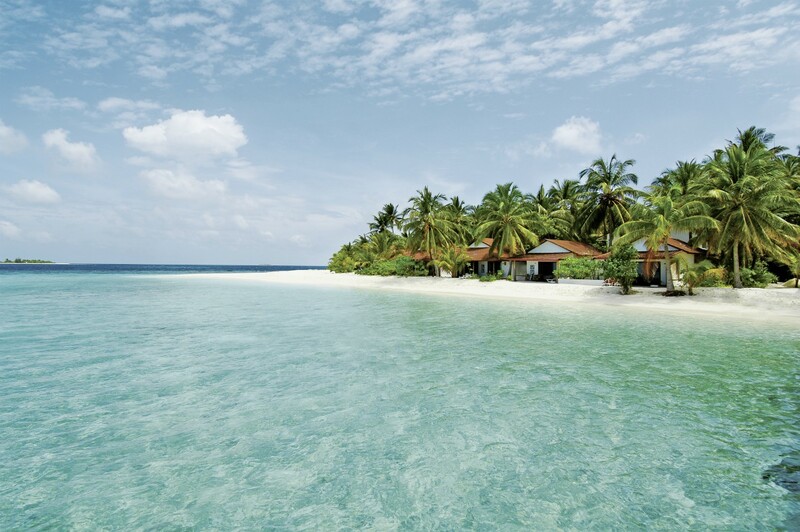 Escape to Komandoo Maldives Island Resort for the ultimate castaway haven. At only 500 meters long, the island is a picturesque retreat perfect for candle-lit dinners on the beach and meals under the stars at the romantic open-air restaurant on the water. Escape to the shores of Cape Verde for the ultimate relaxation surrounded by nothing but the ocean. See nesting sea turtles make their way to the shore, paddle among baby lemon sharks or simply lounge on the endless sands together, the choice is yours. Nestled on endless sands is an adults-only haven made for two. With mouth-watering a la carte dining and serene tranquillity like no other, Melia Llana Beach Hotel is a dreamy escape where you are never more than a few steps away from the ocean. 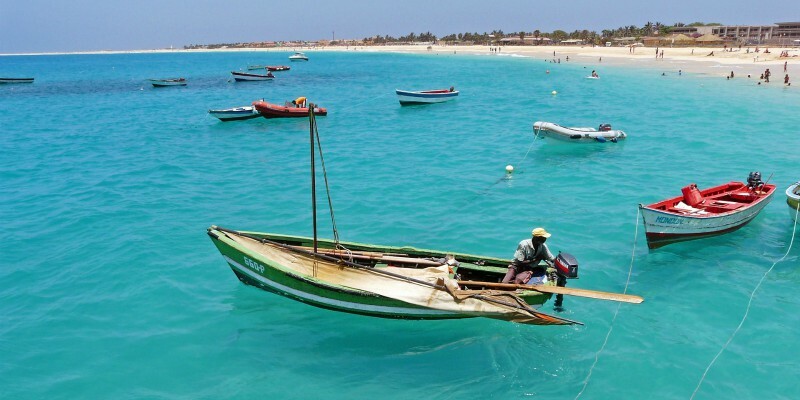 Relax in a unique spa village as you bask in year-round sun or take a dip in the refreshing ocean in perfect peace, Cape Verde offers it all in a colourful blend of cultural heritage. Once a sanctuary for pirates, Mauritius, an island notably compared to heaven by writer Mark Twain, is a tropical paradise filled with a colourful array of wildlife from richly plumed birds to colourful botanical gardens. For dreamy Indian Ocean seascapes that look lifted right out of a magazine, look no further. Adjoining a tranquil turquoise lagoon full of marine life and perfect for snorkelling, Ambre Resort & Spa takes laid-back comfort as its mantra. Walk the serene sands of the 700-metre natural beach and sample the delicious Mauritian cuisine on offer at this adults-only marvel. Inspired by the iconic love-lorn couple of Bernadin de St. Pierre’s novel, Veranda Paul & Virginie Hotel & Spa is the perfect retreat for those wanting some quality time together. A dream of stone and thatched roofs, the resort revels in an authentic Mauritian experience. Set on the beautiful Anse La Raie’s lagoon, the boutique Sensimar Lagoon Mauritius encapsulates true wellness with a state of the art space and heavenly accommodations to enjoy. Endless days of guaranteed sun, waters overflowing with tropical life from clown fish to barracudas, gliding through ancient shipwrecks. The Red Sea is home to countless beguiling sights, not to mention a collection of pampering 5-star resorts. Awarded time and again with the TripAdvisor Certificate of Excellence, the Makadi Spa Hotel is a dreamland of exotic architecture and pampering service. The romance of the Red Sea is undeniable and this collection makes the most of it in classic adults-only style. Ready to uncover a world of romantic escapes? Click the button below to see the full collection now or get in touch with one of our personal travel advisors for more information.